When VT MAE Aerospace started looking around for a place to expand – it didn’t take them long to figure out that Pensacola had all the right elements for their aviation operation to take off. The aircraft maintenance, repair and overhaul company has been in business in nearby Mobile, Ala., for more than 25 years and found Pensacola the perfect place to open a companion facility. Working with Florida West, the city of Pensacola and the Pensacola International Airport, Hafner and his team quickly discovered a community ready, willing and able to help VT MAE get their new operation up and running. 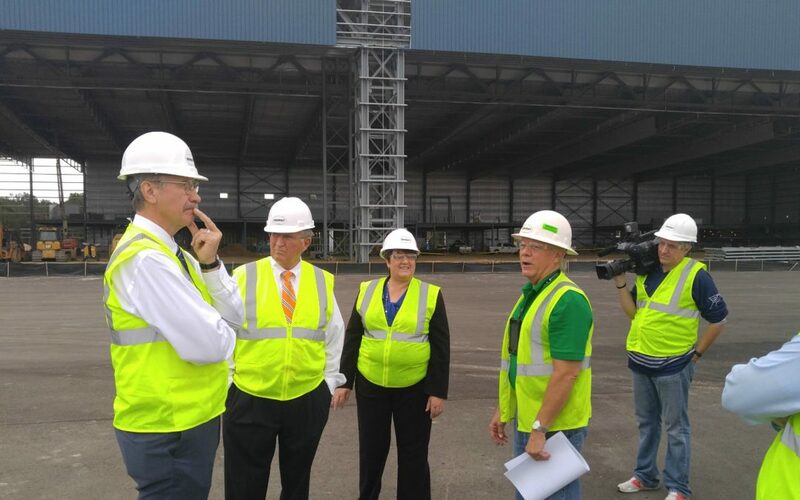 Expected to begin operations in 2018, the company is building a 173,000-square-foot, $46-million facility at the Pensacola airport which is expected to employ more than 400 aircraft workers. Hafner cited the cooperation and warm reception from the city, the airport, FloridaWest and the citizens of Pensacola as a big part of the reason for locating their expansion in Pensacola. The new facility will be state-of-the art and able to service Airbus A-320 type planes as well as Boeing 757s and 777s. Luth said adding 400 aviation jobs to the local economy will be a big boost. Luth said the new jobs will also help diversify the job market in Pensacola and spur other aviation-related companies to take a look at Pensacola. ©2017 FloridaWest. All Rights Reserved. This website was funded through a grant made available by the Florida Department of Economic Opportunity.